Home > Art, History, Home Made, Nikon 35mm, Photoshop Action, Photoshop touches, Posts	> UAE 1975 4th NATIONAL DAY..
UAE 1975 4th NATIONAL DAY.. 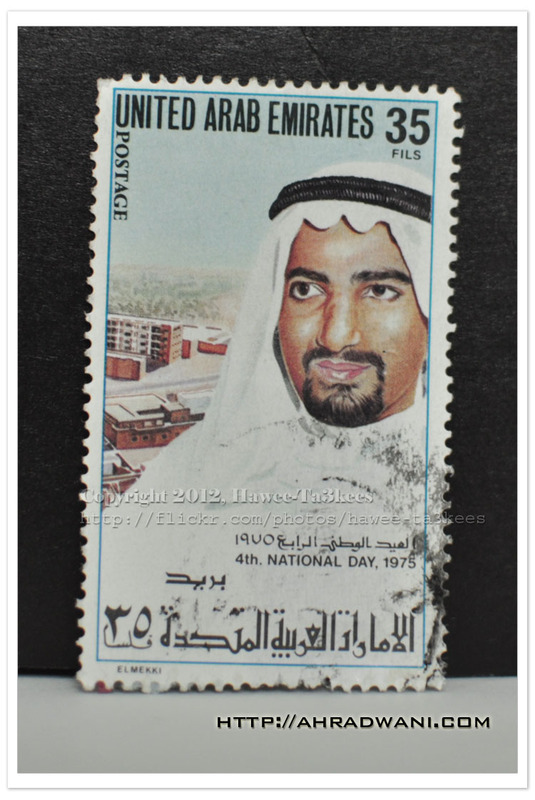 This Stamp is one of the set of the “UAE 1975 4th NATIONAL DAY”, I think the stamp is for H.H. Hamad bin Mohammed Al Sharqi ruler of the Emirate of Fujairah in the United Arab Emirates (UAE).the stamp is one of my collection of the UAE Stamps Click Here to see all posted collection. RED Rose … The Pencil..